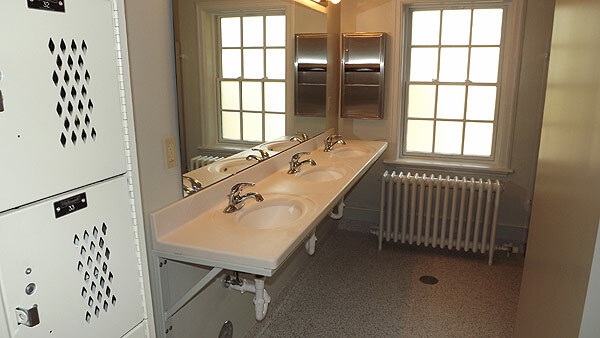 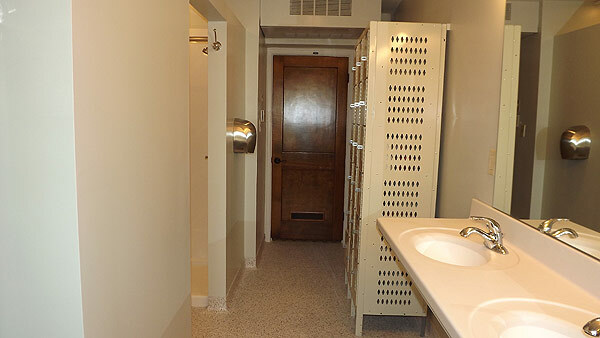 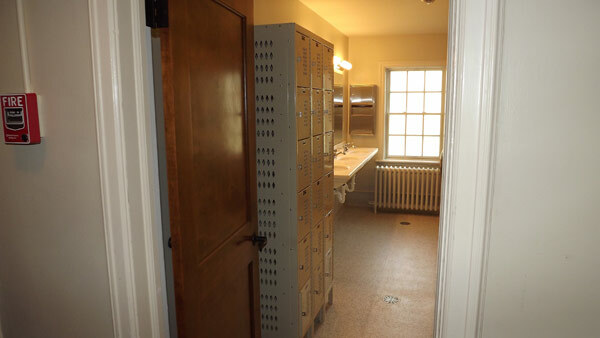 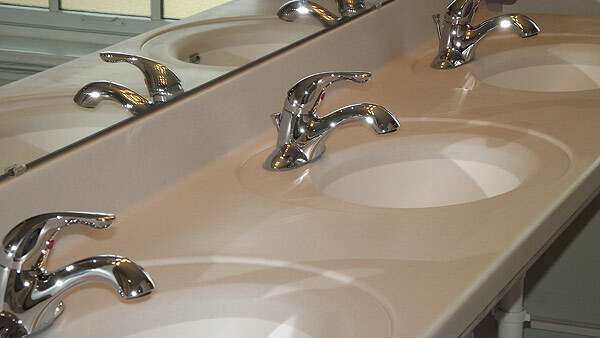 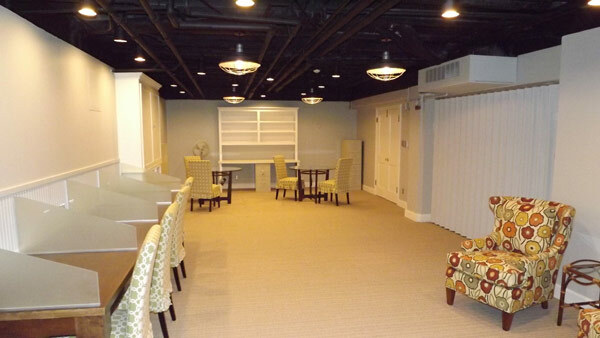 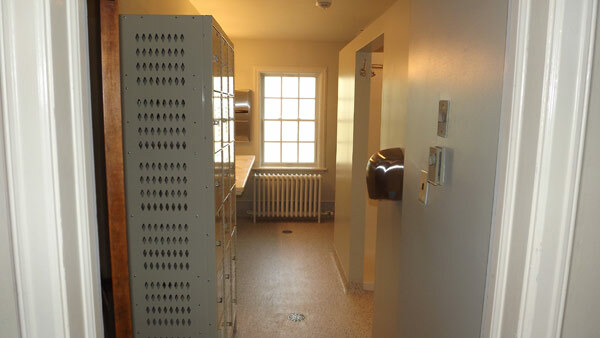 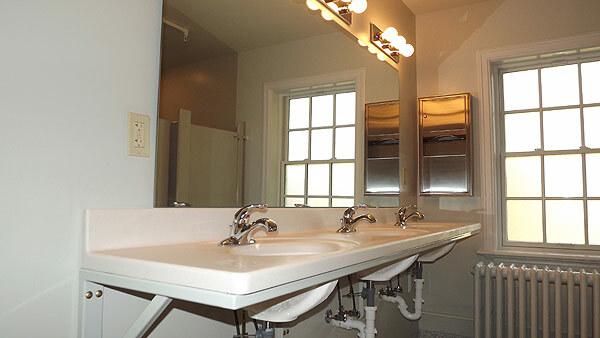 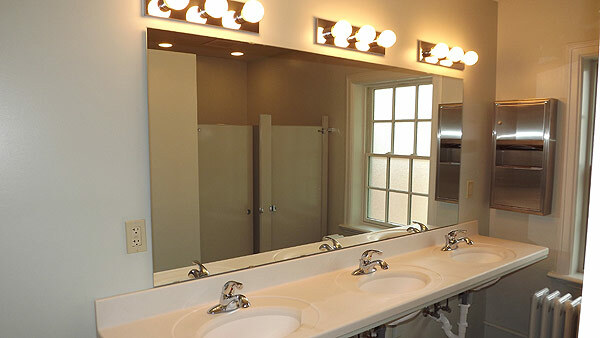 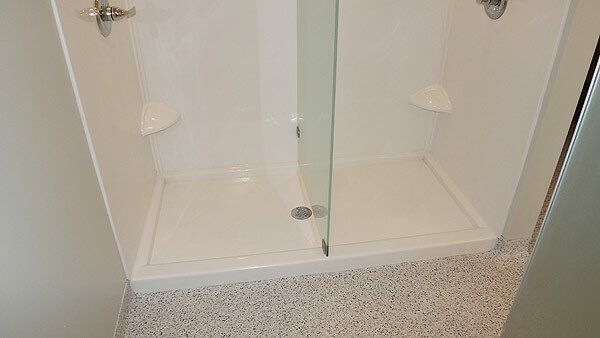 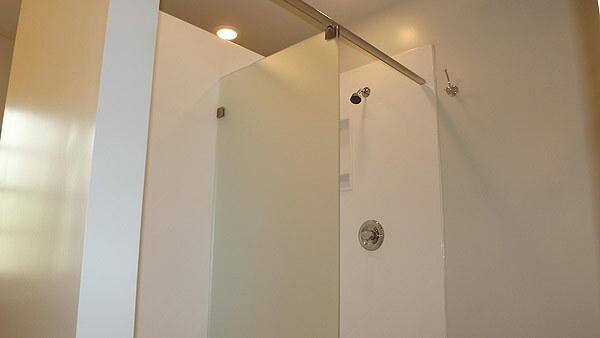 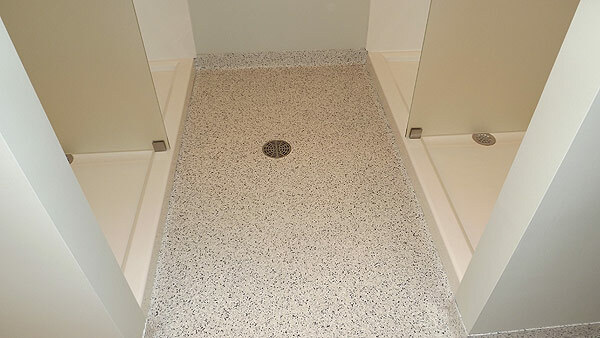 During the summer break of 2012 Natural Breeze remodeled two of the sororities’ larger bathrooms and the basement study room. 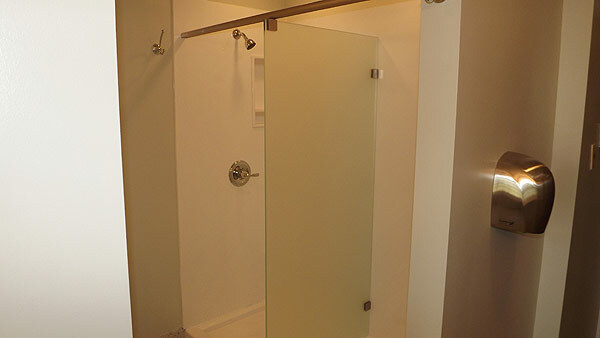 The bathroom scope of work included complete demolition, new subfloor and framing, new plumbing from the basement up, new roof top exhaust ventilation, recessed can lighting, resinous flooring, historically correct frosted glass double hung windows, solid surface showers and countertops, powder coated countertop support frames, lockers, and toilet partitions, and frosted glass shower dividers. 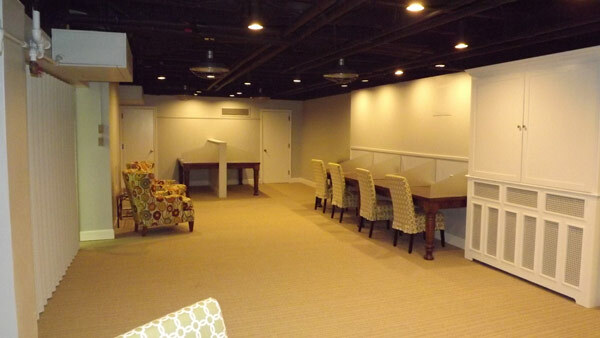 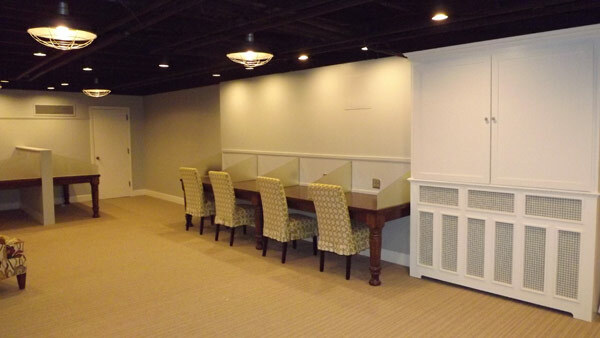 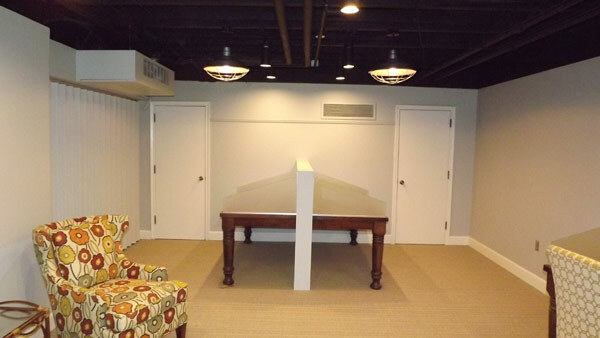 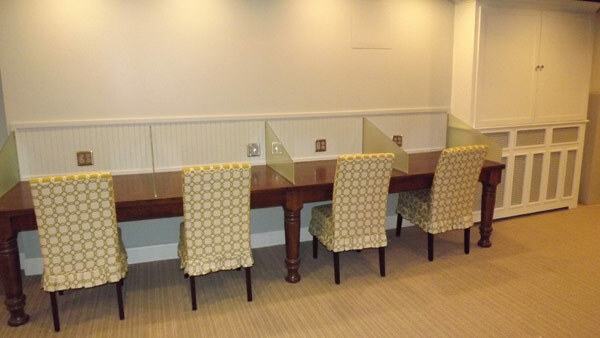 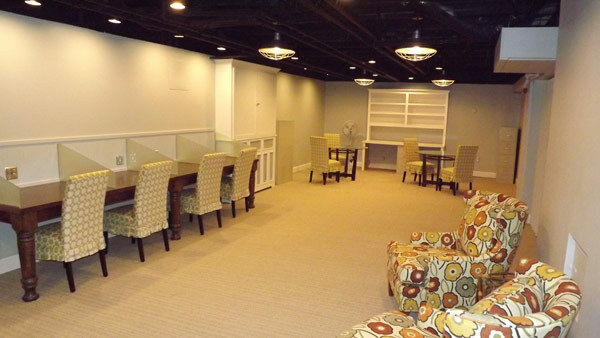 The basement scope of work included removing the suspended ceiling, raising HVAC units, fabrication of bookshelf/radiator cover, fabrication of study carrels, new lighting, surge protected receptacles, painting, and staining. 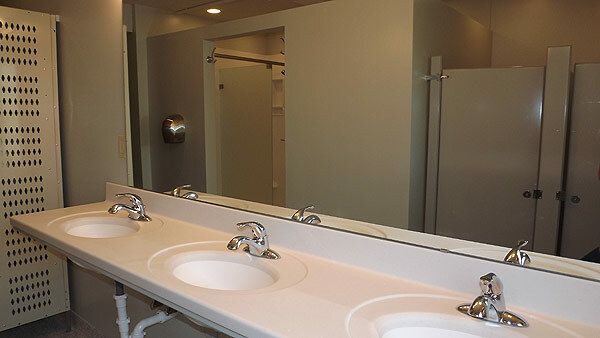 At Natural Breeze we understand the importance of completing on campus projects within the summer break and proud to say we finished ahead of schedule.